Ceiling insulation is more important than you might realise when you stay in the East Rand. 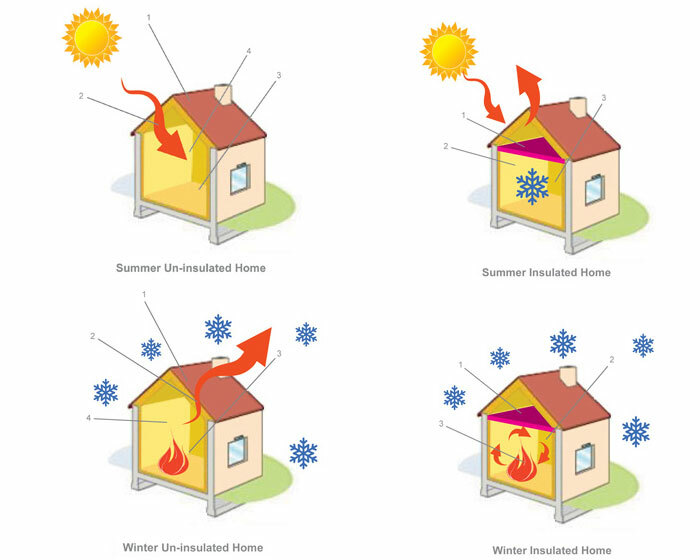 When the sun bakes your roof during those hot summer days a lot of that heat goes right through the ceiling straight into your home. It can even feel warmer inside than outside. The same goes for winter, even if you have the heater on the outside cold goes into your ceiling and then through the panels into the rooms. The best way to reuce the amount of heat or cold is to simply install ceiling insulation like Aerolite. The aerolite insulation acts as a buffer and keeps the heat or cold in the ceiling and not in your rooms. Our ceiling insulation services and aerolite products in the East Rand are available in Alberton, Benoni, Boksburg, Edenvale, Germiston, Brakpan, Nigel, Springs and Kempton Park.